Puerto Rico has another name as the Commonwealth of Puerto Rico which is its official name and is quite popular for architectural buildings as well as great art work. It is better to use our car rental services so that the customers have unlimited brands in their hands while traveling here and there. Travelers can also choose from several different locations available for getting the rental car such as the Rafael Hernandez International Airport, the Diego Jimenez Torres Airport, Mercedita International Airport, the famous Luis Munoz Marin International Airport, Benjamín Rivera Noriega Airport, Dorado Airport, and so on. San Juan is known as the capital city of this nation Puerto Rico and is also the oldest city located on the territory of USA. Here, you can explore the El Morro also known as the Castillo de San Felipe del Morro. You must also visit the Paseo de la Princesa that has been restored in the 19th century. 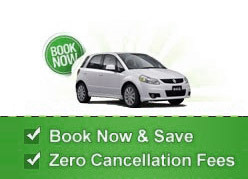 You have to book the car hire services to drive easily around and have great fun. You can also learn great things about surfing in this country. Also discover the Rincon Pottery.